Builders of good citizenship in Auburn, Alabama. Nathan Waters (l) accepts Civitan of the Year award from Kirk Iversen (r). 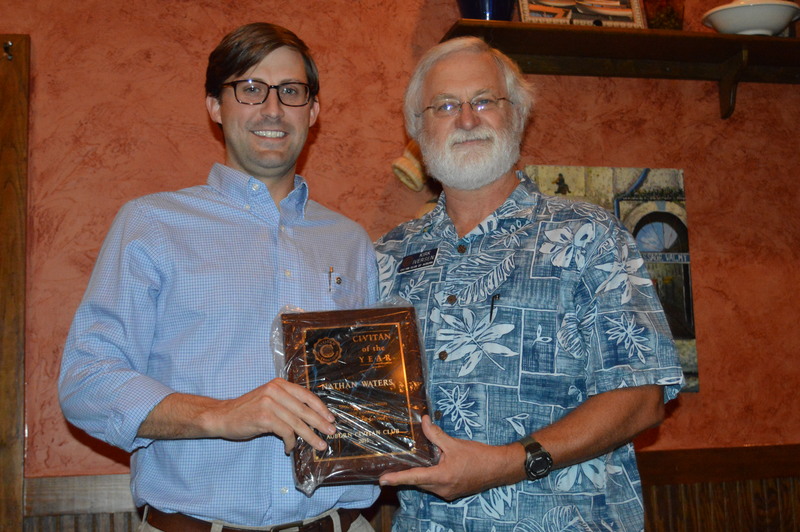 Nathan Waters was honored by the Auburn Civitan Club with the Civitan of the Year award. Nathan was recognized for his great work for the Club during the past year. This entry was posted in Auburn Civitan News on October 23, 2015 by kviversen. Helen Brown Celebrates 100 Years!